Stewart joined Wilberforce in 2009 and is a Practice Manager in the “Junior QCs and Senior Juniors” team. This involves the management and development of all aspects of their practices, including the management of their diaries, fee negotiations, listing hearings and developing client relations, both domestically and internationally. 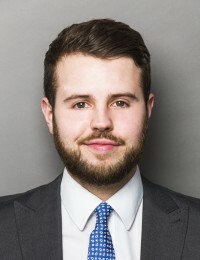 Stewart is a qualified member of the Institute of Barristers’ Clerks, having gained a distinction in the BTEC course in clerking and administration, and has previously sat on the Junior Clerks’ Committee. The Legal 500 (2018) say he is ‘responsive and great at trying to fix listing problems as well as squeezing in assistance from counsel at short notice when we need it’.